Mauricio Pohcettino was enjoying himself so much that when Tottenham’s press officer attempted to halt Tuesday’s news conference, the manager stopped him. ‘No, I am comfortable. It’s not too many times you play the quarter-finals – let me enjoy it, please,’ he smiled. 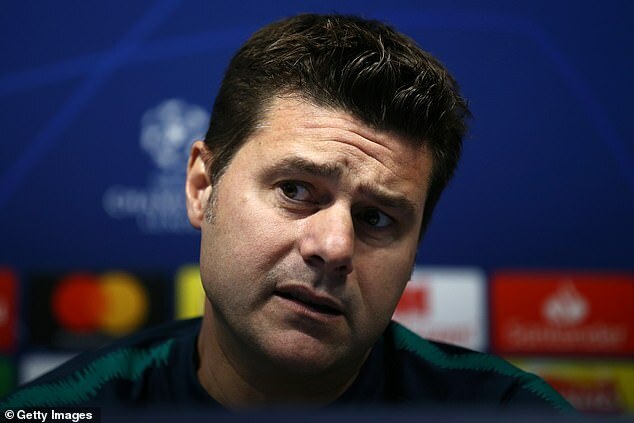 Tottenham are treating this run to the Champions League‘s last eight as a free hit but Pochettino revealed that attitude will change dramatically next season. He claimed that from August, when the new £1billion stadium begins its first full campaign, Spurs should expect to start winning trophies and challenge for the biggest honours at home and abroad. ‘After this season, a chapter is going to be closed and we are going to start another chapter and we need to translate to our fans what we need to do,’ Pochettino said. ‘With our new stadium, we need to be contenders to fight for the Champions League and the Premier League because we have the tools to be there. ‘It is going to be tough to find a way to be on the same level (as Real Madrid and Barcelona). There is a lot of work to be on the level we want in the future. If your expectation is to win the league, maybe you need to sign players or have a different budget. ‘We are here now because we love to compete and we love to win. Of course if you compare us with another team we are in a different financial position or have a different strategy or plan over the last four or five years. Tottenham are in Manchester owning a one-goal lead from last week’s absorbing first leg. They must preserve that without the injured Harry Kane, Harry Winks and Eric Dier. Dele Alli’s hand injury will be assessed. 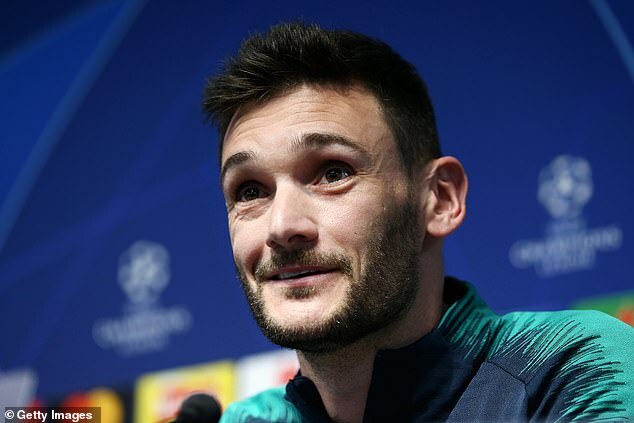 Hugo Lloris, wary of the attacking threat a wounded City have at their disposal, told his teams to ‘use their brains,’ as they hunt for away goals. ‘We have to try to enjoy this moment,’ Lloris said. ‘We’re all excited and ready to fight tomorrow to try to make history. We all want to play this type of game. It’s important to have fresh minds and body and leave the pitch without regret. ‘It’s about the mentality, the spirit. We are ready to suffer. We are going to suffer tomorrow. But we can make the game difficult too. It’s about enjoying it at this stage, to be ready to compete. 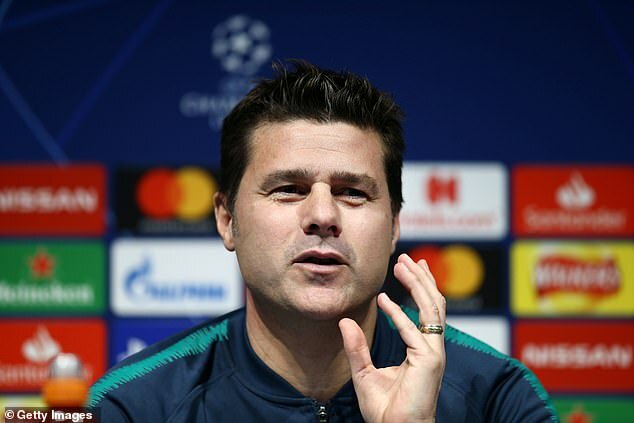 Pressure had not really touched Spurs in this competition until Pochettino’s former Paris Saint-Germain team-mate Ronaldinho predicted that they have the ability to lift the trophy in Madrid. ‘Wow,’ Pochettino said. ‘He knows a lot about football and I am going to respect him. Why not? In football anything can happen. Like in life, you must believe and have trust in yourself and your quality. 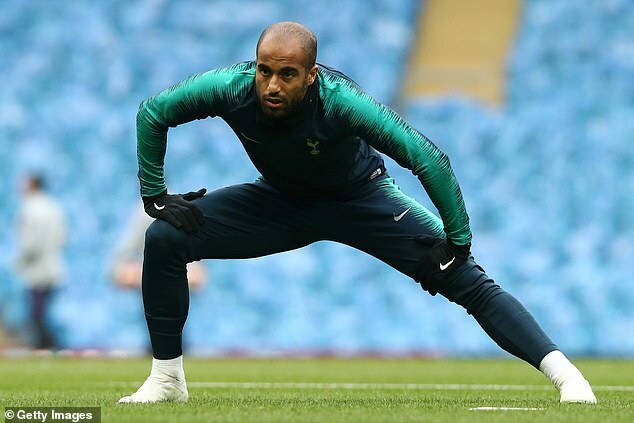 There are fewer smiles around ole foe Pep Guardiola but the Tottenham boss refuted suggestions that these games have added spice given the pair’s rivalry.